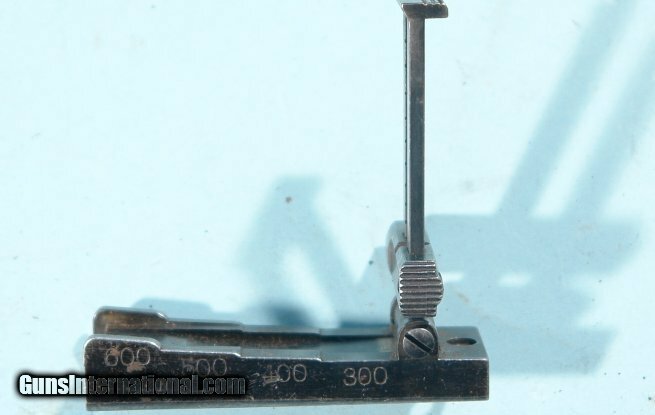 RARE SPRINGFIELD KRAG U.S. MODEL 1892 RIFLE ADJUSTABLE REAR SIGHT. RARE SPRINGFIELD KRAG U.S. MODEL 1892 RIFLE ADJUSTABLE REAR SIGHT. Windgauge adjustable sight for the early and seldom seen Model 1892. Very low survival rate with many Model 1892’s up dated by the Ordnance Department with later modifications-particularly the rear sights due to ammunition ballistics changes. Very distinctive elevation bar. Excellent plus condition with 95% original bright blue. Perfect working order.